For 80 years, Reynaud Cauvin-Yvose has put all his energy and all his skills into the development of technical textile solutions that contribute to the protection and safety of people and goods in the Humanitarian Affairs, Industry, Defence, Civil Defence and Environmental Protection market. A small family business founded in 1933, Reynaud Cauvin-Yvose specialises in the manufacture of technical textile fabrics. 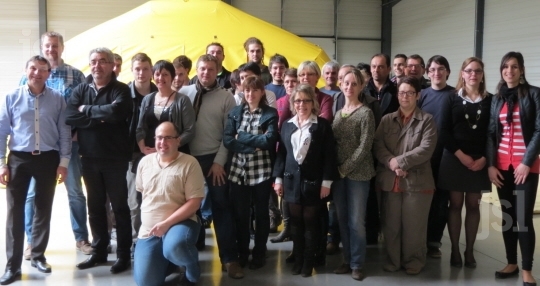 It has extended its scope and markets to now have thirty employees at its production site based in Louhans (Saône et Loire). On the strength of this development, RCY joined the BHD group in 2004, no. 1 French company in the manufacture of technical fabrics. 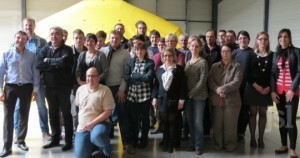 For nearly 40 years, the BHD Group has put all its energy and expertise into the development of composite textile solutions that contribute to the protection and safety of people and goods around the world in markets like textile architecture, the environment, agriculture, civil defence, aerospace, military, sports and outdoor recreation, events, transport and industry.